Paul Dunne is seven under par after two rounds in the East of Ireland at Baltray. Archive picture by Pat Cashman. 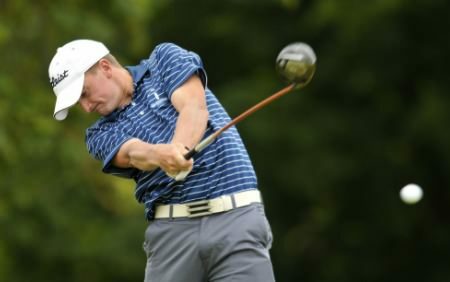 2020 Greystones’ Paul Dunne will take a four-stroke lead over Headfort’s Brian Casey into the final two rounds of the East of Ireland Amateur Open at County Louth. The 20-year old University of Alabama Birmingham (UAB) player added a 68 to his opening 69 to lead on seven under par 137 in warm, calm conditions at Baltray. The halfway cut for the top 51 players fell at 150 with Matt McKnight the only player on that mark to miss out. Dunne certainly found the greens to his liking as he made seven birdies and putted exceptionally well in an impressive display. Starting on the back nine, he bogeyed the 11th but then birdied the 13th from 20 feet and the made amends for missing a three-footer for birdie at the 14th with a birdie from 15 feet at the short 15th. Par saves from 12 feet at the 17th and 18th, where he was bunkered off the tee, helped him turn in one under 34. A bogey at the first was only a minor set back for Dunne, who has two Irish Boys titles on his CV. He got up and down from 50 yards for birdies at the par-five third and driveable fourth and followed a bogey at the trikcy par-three fifth with threee birdies in his last four holes. After chipping dead for birdie at the par-five sixth, he holed a 20 footer at the seventh for a two and then ran home a 20 footer at the ninth to equal Morgan with best round of the weekend so far. (8:20/13:35) S Grehan (Tullamore) B Casey (Headfort) P Dunne (Greystones). Dessie Morgan in action at Baltray this morning. 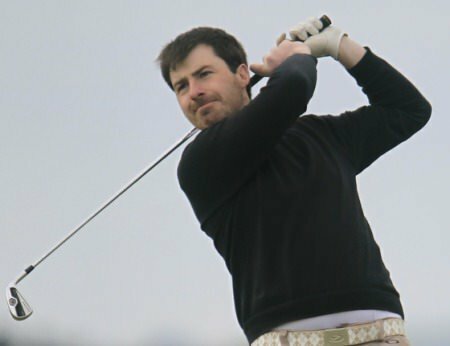 Picture: Thos Caffrey / www.golffile.ieMullingar’s Dessie Morgan has a chance to pull off one of the victories of the year after an opening 68 gave him the first round lead in the East of Ireland Amateur Open at County Louth. 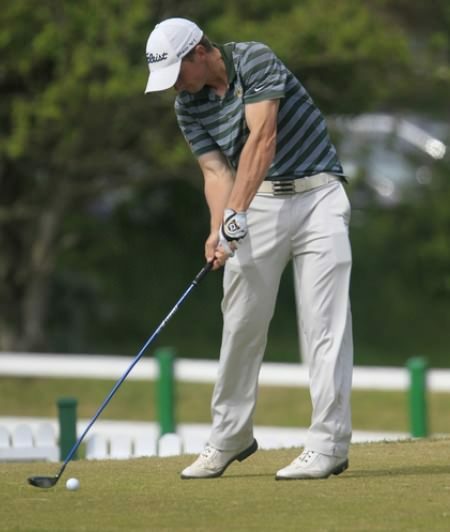 Paul Dunne tees off in the third round at Baltray on Monday. 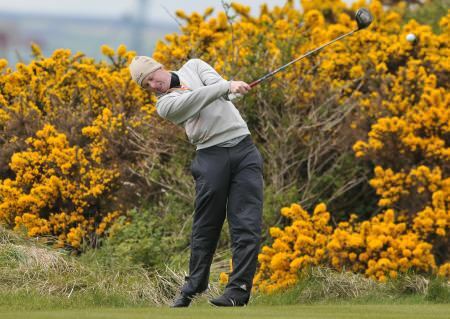 Picture: Thos Caffrey / www.golffile.ieA two-shot swing on the par-five 18th left Headfort’s Brian Casey just two strokes adrift of overnight leader Paul Dunne of Greystones with a round to play in the East of Ireland Amateur Open at a sun-splashed Baltray.